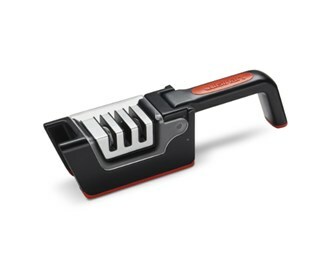 The Cuisinart C77SHP-3S is a 3 slot foldable knife sharpener. 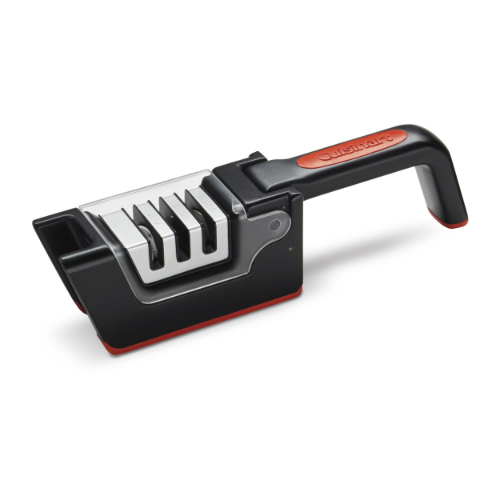 It is made from superior high-carbon stainless steel and is perfect for blade realignment and edge retension. The Cuisinart 3-Slot Sharpening Station has many exciting features for users of all types. The Cuisinart 3-Slot Sharpening Station is sold as a Brand New Unopened Item.